Hotel Zetta has selected ALICE to enhance their internal communication, housekeeping operations, and guest engagement at their vibrant boutique hotel. ALICE is the hospitality industry’s leading operations technology, connecting every department of the hotel with one platform for all staff communication and guest requests. ALICE recently acquired concierge software provider GoConcierge to augment its technology and customer service offering. Part of the Viceroy Hotel Group’s collection of “urban retreats”, Hotel Zetta joins sister properties Hotel Zelos and Hotel Zeppelin on the ALICE platform, allowing consistent staff operations and guest engagement at both the corporate brand and individual hotel level. Hotel Zetta attracts savvy travelers and culture seekers looking for a unique local experiences while they stay in the trendy SoMa district of San Francisco. With ALICE, the staff at Hotel Zetta can automatically import local vendor details to create memorable trips upon request, filled with great local activities and dining experiences. “ALICE allows our entire front office staff to confidently provide highly curated recommendations,” Beevor emphasizes. 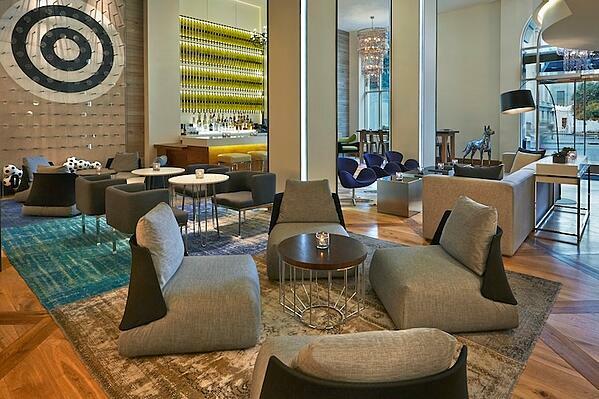 Viceroy Hotel Group inspires travelers with one-of-a-kind authentic lifestyle experiences that bring together provocative design and intuitive service in sought-after locations. A leader in modern luxury, Viceroy’s vibe-led hospitality is guided by the brand promise “Remember to Live,” an affirmation to create lifelong memories for each and every guest. Viceroy destinations are segmented into three distinct portfolio tiers to help travelers find exactly the kind of experience they’re looking for. The Viceroy Icon Collection properties include epic hotels and resorts in Chicago, Beverly Hills, Riviera Maya, Snowmass, Los Cabos and St. Lucia, with forthcoming openings in Algarve, Buenos Aires, Panama, and Vietnam. The Viceroy Lifestyle Series hotels and resorts are found in attitude-led destinations including New York and Santa Monica, with a forthcoming opening in Serbia. The Urban Retreat Collection properties in San Francisco have an independent spirit and bold, eccentric personalities. Viceroy Hotel Group is a member of the Global Hotel Alliance (GHA) DISCOVERY, a unique loyalty program offering exclusive benefits and experiences to its members at over 550 hotels around the world. For more information, visitwww.viceroyhotelsandresorts.com. Follow Viceroy Hotel Group at facebook.com/viceroyhotelgroup and on Instagram and Twitter @viceroyhotels.